New Video from American Animal Care Center. This place is awesome for all of your pet’s needs. Wow! American Animal Care Center loves your pet almost as much as you do. There goal is to give your pet the best care possible. That’s why they’ve purchased a state of the art Digital Radiography System. 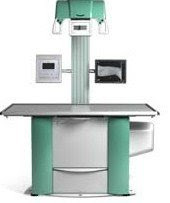 American Animal Care Center is using the best X-ray technology available to offer clients the best veterinary care in the area. American Animal Care Center believes this is an excellent investment – both in the practice and in your pet’s health care. It’s just one more way they show how much they love your pet. American Animal Care Center in Fremont, CA has won numerous awards, including Best Veterinarian by the Bay Area News Group. Recently the American Animal Care Center was re-accredited by the American Animal Hospital Association. Very few animal hospitals achieve this designation. American Animal Care Center is a modern veterinary hospital and features state of the art facilities and equipment. The hospital has been established for over 22 years. They currently have over 57,000 clients and 95,000 patients. They specialize in dogs, cats, birds, rabbits, rodents, and exotics. They are open 7 days a week, 365 days a year, and are available for all of your pet care needs. Pet’s have teeth too. Infact, a pet’s teeth are his hands. This is what he uses to pick up everything when eating. Unfortunately, most pets do not get the dental care they deserve. 85% of all pets have periodontal infection. Think about it…your dog doesn’t see the dentist, doesn’t brush, doesn’t floss, and eats soft cereal. What do you expect? All dogs and cats should have there teeth brushed. If you can’t do it or your pet won’t allow it, then you should have his teeth cleaned regulary. Some pets need to have there teeth cleaned every year and a few every six months. The smaller the dog-the greater the chance of having teeth problems. Bad teeth cause bad organs. The body has to filter all that junk that comes off the teeth. If your dog has a sewer mouth, he probably has an infection in his liver, heart, or kidney. Have your pet’s teeth cleaned today…it is the best money you spent in ensuring your pet lives a long life. The veterinarian told me it prolongs life by 2 years and I believe it. It also is a bonus that there is no smell from the mouth! I now enjoy the licks and signs of affection from my pets. Spay or Neuter may be the first and only surgery your pet may have! Did you know that a spay or neuter may be the only surgery your pet may have? I had my pet neutered at the American Animal Care Center in Fremont, CA a few months ago. Spaying and neutering is very helpful for your pet’s health and temperament. You have many choices when it comes to neutering yor pet. I recommend that when you neuter your pet, it is best to compare what you are getting. Some veterinarians won’t recommend pain medications or IV fluids. American Animal Care Center gives you an itemization of everything your pet gets and what services are providing. They have safe and comfort packages to ensure that your pet’s first and perhaps only surgery will be very successful. American Animal Care Center is an awesome pet hospital. I did not know that laser surgery was possible for animals. I was surprised when they mentioned it to me. I remember having surgery for myself with a laser and I noticed that I didn’t feel any pain or aches afterwards. When I heard that my dog could be neutered with a laser, I immediately asked for it. The price was about $50 extra but it seeems to be well worth it. Rocky didn’t feel anything afterwards. When he came out to see me, I was wondering whether the surgery was done because he seemed to happy! I attribute most of that to the fine work done at my friends at American Animal Care Center and the magic of the laser. Rocky had like no swelling, pain, or bleeding! This was truly amazing and I would recommend that you consider this as an option on your pet’s surgery. I had my pet microchipped at American Animal Care Center in Fremont! I had my dog microchipped at the American Animal Care Center in Fremont, CA. That was the best $35 I ever spent. Did you know 1 in 3 pets gets lost.? Without ID, 90% don’t make it home. Most of the time when the animal control will pickup your pet there will not be any tags left on him for them to figure out he belongs to. I strongly recommend having your veterinarian microchip your pooch. You will be glad you did. Here is the link on microchipping at American Animal Care Center.